24/7 access to our community of traders, analysts, and the Bitcoin Schmitcoin team from your computer, phone, or tablet. We teach you how to have a better chance of predicting the cryptocurrency market and not just blindly follow other traders and analysts. Don’t worry. 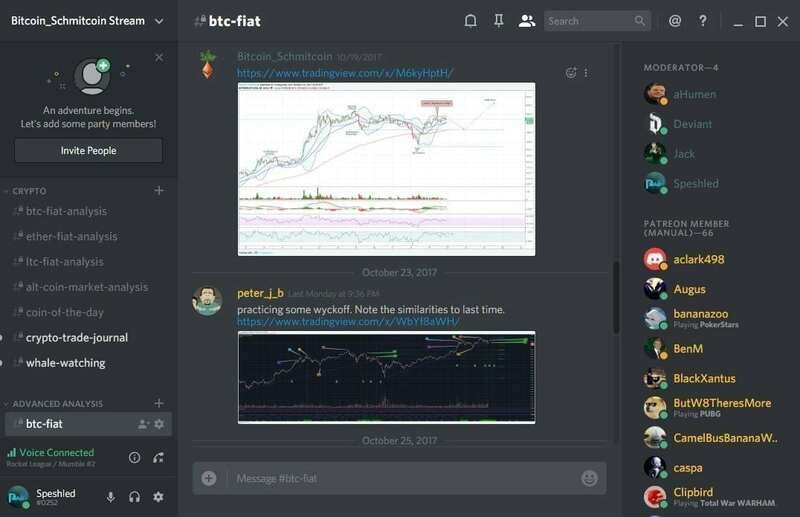 We have traders from all over the world adding to the community at every hour of the day. From ARK to ZEC (A-Z), we’ve got members looking at every coin all day every day. What Our Members Have to Say.. This is just a test, fam. Will be deleted afterwards. Is Bitcoin Ready to Rally? Is the Bitcoin Bear Market Over??? When Will the Bitcoin Market Stop Crashing?? Has the Altcoin Market Bottomed? Stock Market Recap #3: Is the Stock Market Ready to Crash? ?